100 ANELLI SEGNA CAVO IN GOMMA. SCONTI IN CASO DI ACQUISTI MULTIPLI,NOTEVOLE RISPARMIO! MULTIFUNCTION CABLE/KEY/EARPHONES MAGNET ORGANISER - BLUE. Multifunctional Magnet Organiser. Weight: approx. Keep Your Cables tidy and in good order. Adhesive backing simply stick to your required surface. Add to favs. All enquiries will be responded to within 24 hours. All prices stated are in the currency specified. 4 CLIP ADESIVE. PER FISSAGGIO CAVI. SCONTI IN CASO DI ACQUISTI MULTIPLI,NOTEVOLE RISPARMIO! Per ulteriori informazioni contattateci. MULTIFUNCTION CABLE/KEY/EARPHONES MAGNET ORGANISER - PINK. Multifunctional Magnet Organiser. Weight: approx. Grommets are white in color, made of rubber. Protect wires from chafing against drilled holes. Acts as a guard from the sharp sheet metal edges. These are 10 pieces double sided grommet set for replacing old cracked grommets or for running new wires safely through body panels ! Material : Rubber;Outter Diameter : 15.5mm/ 0.61" Inner Diameter : 8mm/ 0.31";Thickness : 6mm/ 0.236" Groove Width : 1.9mm/ 0.075"; Brand Unbranded MPN Does not apply UPC 4894462424377 EAN Does not apply EAN Does not apply. Adhesive Labels as in the picture. of Labels: 52, 100 or 200. Cable ID Labels. Simply fold over the cable and press together to seal. Lots more Labels. 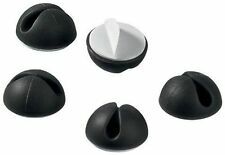 TRIXES 10 Self Adhesive Plastic 10-12.5mm Cable Anchors for Space Saving. They are self-adhesive and can be stuck to almost any surface. You will not need to suffer untidy piles of cables taking up room on the floor again. 11#/28cm Long x 2cm Wide. 3 x Black Hook and Loop Cable Ties. 3 x Green Hook and Loop Cable Ties. 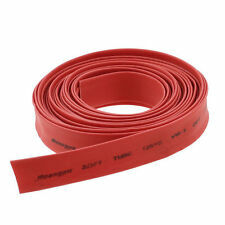 3 x Red Hook and Loop Cable Ties. Reusable and adjustable. Colours: Black, Green, Red. Reusable again and again, good for keeping cables tidy and easier to replace cables and devices, for example; wired mice and keyboards, display cables, and power cables. Our Hand Made Shakmods Extension Cables with Cable combs. 2 x 24pin Shakmods 4mm Transparent Cable Comb Set. Carbon Fibre. 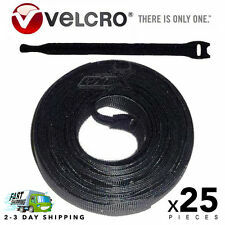 VELCRO® Reusable Ties/ Cable ties. Cycle Maintenance/ Repair Kits (28). Car Parts (28). Badges/Emblems (60). Air Line Tools & Couplings. Car Repair. Haynes Motorcycle Manuals (19). Adhesive Labels as in the picture. Cable ID Labels. Simply fold over the cable and press together to seal. of Labels: 48, 100 or 200. Lots more Labels. Fit & organize up to 48 CAT 5 cables. 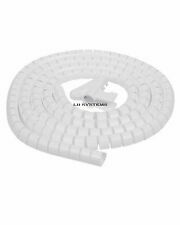 This is a full set of cable combs suitable for all braided cables which are 3mm. It also includes a 16 pin connector which looks better than using 2 x 8 pin. • 16 Pin PCI-e Connector. • 24 Pin Power Connector. To use for Speaker Wires 12, 14, 16, 18 AWG (Gauge), Cat5e, Cat6, Phone Cables, RG-6 an RG59 Coaxial cables. This cable is not only handy, but also safe. Snug fit around Network Cable. Color: White. Organise your studio, PA rig or Hi-Fi set up! Now you will instantly be able to identify every single cable in that tangled heap on the floor! 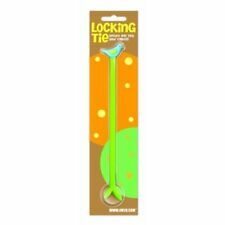 These ties are easy to use - write on to the tab, attach to the cable (they are zip ties) and cut off the excess. 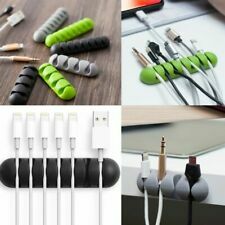 CABLE ORGANIZATION: Save your space and mood form disordered cables with these little practical cable collators. Its dexterous outline let it manage to be used anywhere wire chaos happened: home, office, cars and so on. They are even more than cable collators if you give a creative try: holding string lights for decoration, hanging necklaces or hair ringSTRONG-ADHESIVE: Cable clips with 3 meters double-sided foam pads grip firmly and stably on different surfaces. They can also be removed easily without damaging desks or leaving residues on walls.EASY TO INSTALL: Without drilling a hole or attaching any glues in your house, these self-adhesive cable clips still manage to help you organize all the small cable wires in order. All you have to do is simply clean . 1m x 12mm Black Spiral Wrap. Key benefits to using Spiral Wrap. Heavy Duty Long Cable / Zip Ties. Strong heavy duty cable ties. Ties from: 50mm - 1000mm. Width: 12.7mm. Working Temperature Range: -40°C to 85°C. Oxygen Index: 25% - 28%. Black in colour. Very simple to use, you wont notice how convienent they are until you have them in place. They have a rubber silicone finish. Will be loose. - Easy to install: Clean dust from surface with dry cloth, peel adhesive and apply Cable Drop. (Shakmods Black Open Combs. b) Which type combs you need for example 2x 24pin, 4x8pin and 4x6pin. a) What size is your cables for example 2mm, 3mm or 4mm. Motherboard (the very top connector in the picture which is smaller than the 2nd & 3rd connectors, goes to the motherboard), 4 FDD connectors for both 3.5"(2nd connector, 5cm WIDE) & 5.25"(3rd, bottom 1) floppy drive use. 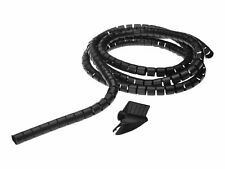 Colour Name: black Features: -Long winding wires often end up in tangles and add a risk factor in the heat of gameplay, This item can addressed this problem easily -The wire clip part can be adjusted to meet the specific requirement of angle. Ideal for USB cables. If you are tired of your cables constantly falling off your desk and getting tangled together, then this is the product for you. Keep USB cables tidy, stop tangling, keep your workstation tidy. Manufactured to UL94V2 and to mil spec 23190D. 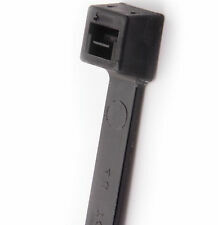 Cable ties manufactured in nylon 66 (working temperature -40 to 85 degrees Celsius). Either fix using Self Adhesive backing or screw in using fixing holes for extra strength. 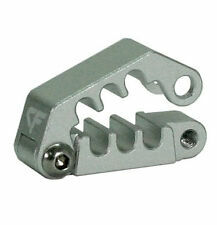 These mounts are perfect for use with cable ties up to 5mm wide. Each bag contains 10 x Black Mounts, if you require 50 for example change the QTY to 5. Wire and Cable Puller. Part # - CP 1000. TORCH Lighting & Electrical. Electrical Junction Boxes. If you have special needs with an order we'd be glad to help. for more great deals! NEW IN THE BOX. Check out this video to see it in action. Wrap the loose cables into one neat and tidy cord. Hold the flex cord and slide the easy clip along the length of the loose cables. Insert the clip protruding end into the flex cord. Grab all loose cables together and affix the spring loaded easy to clip. Hook & Loop Cable Tidy. Cut to your own required length hook on one side and loop on the other. Just like Velcro. 110mm x 2.5mm. 110mm long x 2.5mm wide. Black screw Mount Cable Ties. Designed for securing cables to a car panel or chassis. Working temperature range: -40°C to 85°C. Working Temperature Range: -40°C to 85°C. (Shakmods Combs. Any 10 Close comb for £7.99. a) What size is your cables for example 2mm, 3mm or 4mm. EASY ACCESS: - With a zipper closure you can just wrap all the cords and pull them together zip and done. DURABLE MATERIAL AND MUTI-FUNCTION- The seams and neoprene are very strong and good quality for years of use. Beseitigen Sie das Chaos an Ihrem Schreibtisch: Kabelhalter mit Klebestreifen von LogiLink. Klebestreifen bereits an Unterseite vorhanden. Geeignet zum Ordnen von Kabeln, Kopfhöhrern, Stiften etc. Schutzfolie entfernen und den Kabelhalter an die gewünschte Position bringen. Version: 1.1m Black 25mm. A range of flexible pre-split cable tubing. Pre split conduit tubing. Halogen free. Colour: Black.